It’s important to see that LC is committed to an incompatibilist view of human free will (see, e.g., p. 91). On this view, free will and moral responsibility are incompatible with determinism — specifically, with divine determinism. (As I’ve noted elsewhere, there are many different types of determinism, and thus one could be a compatibilist with respect to one type of determinism and an incompatibilist with respect to another type of determinism. Even so, it’s clear that the determinism Crisp has in view is divine causal determinism.) According to LC, then, no free human choice can be determined by God; any human choice determined by God must be unfree. 2. Comprehensive divine determinism is false. As I noted above, Crisp claims that the Westminster Confession of Faith doesn’t exclude LC, because it doesn’t commit one to compatibilism or comprehensive divine determinism. On the contrary, I will argue that the WCF implicitly affirms both compatibilism and comprehensive divine determinism. If I’m right about only one of these, then LC is not consistent with the WCF after all. The Confession is clear that God ordains or decrees (the two terms are treated as equivalent) whatsoever comes to pass, i.e., all events within the creation. Crisp observes that divine ordination as such doesn’t entail divine causal determinism; in principle God could ordain some events without determining them (e.g., he could ordain them by passive divine permission). However, the Confession also states that God’s decree doesn’t depend on knowledge of what will or could take place, or knowledge of what would take place if certain conditions were met (i.e., knowledge of hypothetical conditionals of the form if X were to occur then Y would also occur). The central thrust of WCF 3.2 is that God’s decree isn’t conditioned, even in part, on factors within the creation that are independent of him, factors that do not find their ultimate origin in him (which would include, of course, libertarian free-will choices). God alone is the source of his eternal decree; God doesn’t ‘consult’ anything extra se when he formulates his decree. If God’s decree were conditioned on factors within the creation independent of him, then God would not be “most free, most absolute” — there would be external constraints on God’s decree. To use a crude computing analogy: God would be receiving ‘inputs’ from his creation. Likewise, if God’s decree had to incorporate factors within the creation independent of God, God would not be all-sufficient: the decree would depend on factors external to God which aren’t ultimately determined by him. What’s more, the Confession explicitly states that God’s knowledge is not dependent on the creature, which would seem to rule out views such as Molinism (according to which God’s decree is based in part on his knowledge of what his creatures would freely choose if placed in particular circumstances) and Simple Foreknowledge Arminianism (according to which God’s decree — if we can speak of a divine decree at all — is based in part on his passive knowledge of what his creatures will choose). In sum, the Confession teaches not only that God decrees all things but also that God’s decree is not conditioned or dependent on anything external to him, such as the libertarian free choices of his creatures. But if that’s the position of the Confession, it’s hard to see how some version of divine determinism can be avoided. If God ordains all things according to an infallible and immutable decree, and that decree originates entirely in God (i.e., it is not conditioned on any factors external to God), how could it not be the case that God — and God alone — determines all things? But if the WCF is implicitly committed to comprehensive divine determinism, by way of its commitment to (i) an all-encompassing divine decree and (ii) divine aseity and independence, then it cannot be reconciled with libertarian Calvinism. It’s clear that the Confession teaches a monergistic view of conversion, according to which God acts supernaturally and unilaterally to bring spiritually dead sinners to life, not merely so that they can come to Christ but so that they actually do come to Christ. In short, God determines (indeed, causally determines — effectual calling is presented here as a direct divine intervention) that the elect come to Christ. And yet, the Confession says, the elect “come most freely, being made willing by his grace.” So the Confession affirms that those who choose Christ are divinely determined to do so, but they still choose freely and willingly. If that isn’t an explicit affirmation of compatibilism, it’s about as close to one as you can get. Once again we find the Westminster Divines affirming both sides of the compatibilist coin: divine determination and human freedom. It’s hard to see, then, how one could affirm the WCF and WLC statements on effectual calling without accepting compatibilism. (If there is even one free human choice that is determined by God then compatibilism must be true.) But in that case, it’s hard to see how libertarian Calvinism could be consistent with the Westminster Standards. 1. I should make clear that Crisp doesn’t personally endorse LC in Deviant Calvinism (although he doesn’t reject it either). He only means to explore whether it is a coherent position as such and whether it is consistent with confessional Calvinism. He’s probing the boundaries of confessional Reformed theology, and that I take to be a valid and worthwhile project, even if I disagree about where those boundaries lie. 2. I haven’t argued here that LC is false (although, of course, I do believe it is false!). I’ve argued only that it is inconsistent with the Westminster Confession of Faith. If I’m right, however, anyone who thinks that the Confession’s statements on God’s decree, God’s knowledge, and God’s effectual calling are true (because they accurately express the teachings of Scripture on those topics) ought to reject LC as false. Westminster Calvinists are not free to be libertarians. This entry was posted in Philosophy, Theology and tagged Calvinism, compatibilism, determinism, divine decree, divine providence, incompatibilism, libertarian Calvinism, libertarian free will, Oliver Crisp, Westminster Confession of Faith, Westminster Standards. Bookmark the permalink. 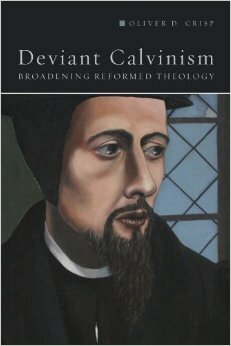 5 Responses to Libertarian Calvinism? Isn’t it possible that God might utilize something like middle knowledge but still make his decree dependent upon himself because the middle knowledge is still from himself. Therefore, he would still not be dependent somehow on his creature, but yet utilize knowledge from himself to make his decree. Secondly, I was wondering if you knew of any resources that sought to explain the method by which God can decree things and they can come to pass in the compatibilist sense of the word. How does God effect his will, directly or by privation in some cases? I’ve heard some Reformed theologians go into this a bit, but I’m just wondering if there is anything more comprehensive on this. Further, I would love to see you do some writing on compatibilism and its philosophical objections and defenses. Also, I would be interested in more on Molinism and specifically a defense of Calvinism from the objections of Molinist philosophers. Or rather if you just know of some interesting articles or blogs on these topics you could send me in that direction. I don’t know of any version of Molinism in which God’s middle knowledge is “from himself”. The whole point is that the counterfactuals of creaturely freedom aren’t grounded in either God’s nature of God’s will. They are true independent of God, in which case his knowledge of them is dependent on factors external to God. As to your second question, have you read my paper “Calvinism and the First Sin”? Also look out for Greg Welty’s paper “Molinist Gunslingers: God and the Authorship of Sin” forthcoming in the same volume. I suppose I was hypothesizing that someone could argue that way with regard to middle knowledge but more on a Reformed view of free will than a libertarian one. I realize that middle knowledge is not really necessary on a Calvinist view of things. I just find the idea interesting to think about. Do you think there might be any way forward there or does the Calvinist middle knowledge fall into the same trap of making God dependent on his creatures? I have read the version that you have on your website. What volume will the essays be in? The concept of middle knowledge, as originally defined, presupposes a libertarian view of free will. The whole point of Molinism is to reconcile LFW with a strong view of divine providence. Some Calvinists (Bruce Ware, Terrance Tiessen) have explored the idea of “Calvinist middle knowledge”, where the view of free will is compatibilist rather than libertarian, but the whole idea makes no sense to me. If all truths are grounded in either God’s nature or God’s will (so as to preserve divine aseity and independence) then there’s no need for anything other than God’s ‘natural’ knowledge and God’s ‘free’ knowledge. There’s no place for a ‘middle’ knowledge. “Calvinist middle knowledge” is a solution to a problem that doesn’t exist. The essay will appear in David E. Alexander and Daniel M. Johnson, eds, Calvinism and the Problem of Evil (Wipf & Stock). That seems logical Dr. Anderson. I look forward to reading more on the subject, so I can come to the more solid kinds of conclusions that you have about it. What seems interesting to me about said Calvinist middle knowledge is that it seems to go some way towards establishing a mode by which God works out his providence. I think my problem is that I want to pry into God’s providence and understand how he works sovereignly while people still are have a kind of freedom. Molinist philosophers have this way of arguing that Calvinism implies fatalism since God has already ordained the secondary causes. Therefore they argue that really it is self-contradictory on that level and denies our rationality and that kind of thing. My intuitions tell me that this is wrong or making a misstep or an oversimplification. Yet, I’m not quite sure how to answer the charge yet. I look forward to that volume. Sounds excellent!